is honored on Panel 26W, Line 54 of the Vietnam Veterans Memorial. Thank you for your service as an Infantryman with the 1st Cavalry. Merry Christmas and Happy New Year. It has been too long, and it's about time for us all to acknowledge the sacrifices of those like you who answered our nation's call. Please watch over America, it stills needs your strength, courage and faithfulness. Rest in peace with the angels. Hello, Bob, I think of you often. Although I did not know you, I did have the pleasure of meeting your parents and brother. Today is Veterans Day and I want to know how much you meant to our family. My son Matthew Robert Samsin Saxe was given your name. It was a promise we were committed to honoring. May you and your fellow soldiers from all our wars be remembered today and every day. Thank you. Robert is a Fraternity brother who I never met. He is a brother never the less. He is remembered and revered to this day in Sigma Beta Chi. My Dad, Jerry Saxe, posted this picture of his best friend, Bob here. As you can see in his post on this page, they were close friends. My dad doesn't mention his own service in his post, or that he gave me the middle name of Robert in honor of Bob. So I'm trying to carry his name on as best I can. I've seen his name at the actual Wall and the Travelling Wall. I'll always try to keep his memory alive. The photo posted on the front page is not Robert J Goedde from Maplewood, MO. 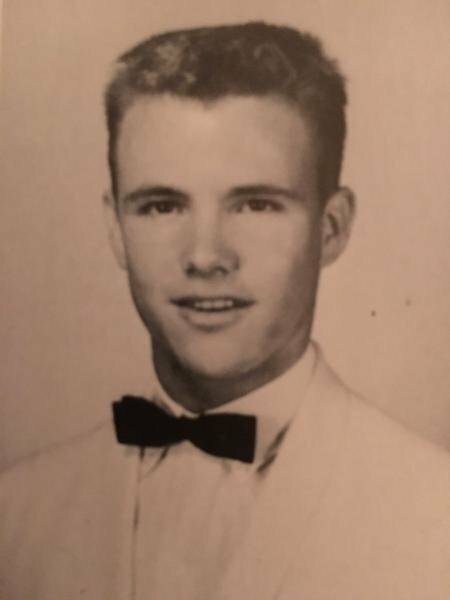 I have posted Robert's graduation picture from McBride High in St Louis, MO where he is dressed in a white tuxedo. I hope that whoever that is in the picture previously posted gets correctly identified. I graduated with Bob from high school and roomed with him for four years at St Mary's U in San Antonio, TX. Bob graduated from college in May of 1968. He was killed in a fire fight with the 1st Calvary Div in April, 1969. He is a hero and is still loved and missed by his friends and fraternity brothers.